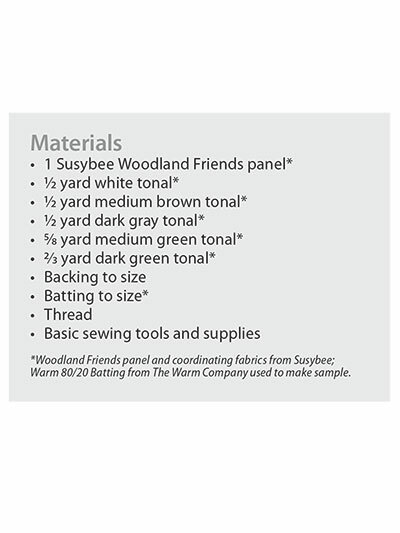 Cuddle up to some new woodland friends! 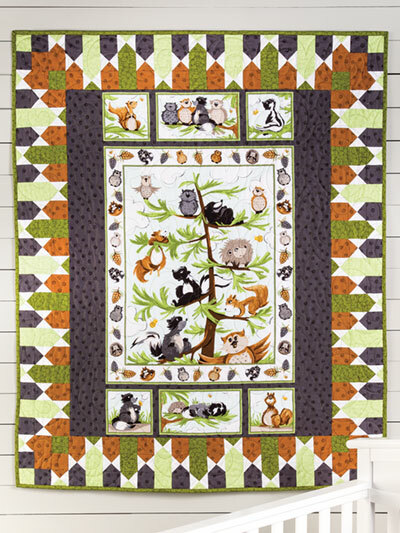 Welcome to the friendly forest of adorable owls, squirrels, skunks and more. This panel quilt with a unique border works up perfectly for your little prince or princess to reign over their own kingdom. 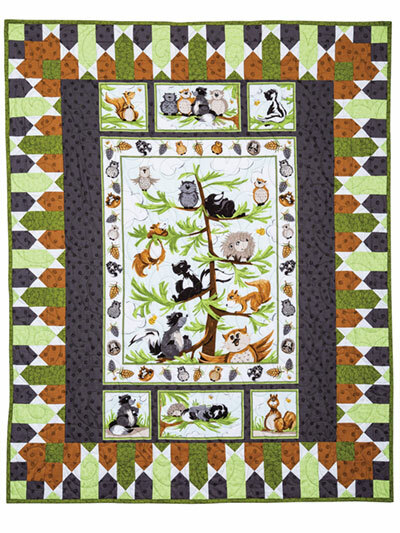 Put up for display as a wall hanging or makes a great security blanket for your little one. Finished size: 42" x 50". U.S. Flag Digital Panel 44" x 36"